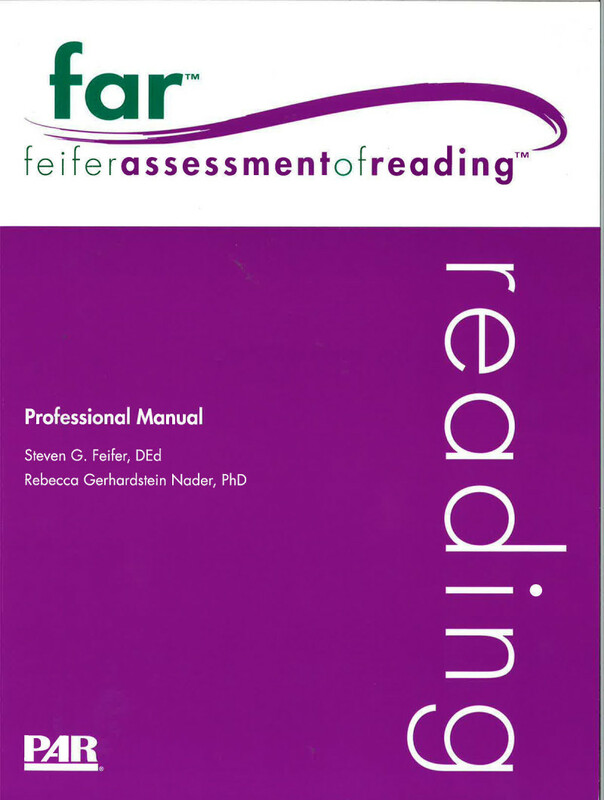 The FAR is a comprehensive assessment of reading and related processes that will help you determine the examinee's specific subtype of reading impairment and inform decisions about appropriate interventions. Takes a neurodevelopmental approach to reading, which suggests that multiple neural pathways underscore various aspects of the reading process such as phonemic awareness, fluency, decoding, and comprehension. Based on the premise that treatments for reading disorders vary by dyslexic subtype, with four specific subtypes addressed: dysphonetic dyslexia, surface dyslexia, mixed dyslexia, and reading comprehension deficits. Examinees in reception take eight subtests, examinees in Year 1 to Year 2 take 11 subtests, and examinees in Year 3 to university take 14 subtests. Standardised on a sample of 1,074 examinees in prekindergarten to college drawn from more than 30 states using a population-proportionate, stratified random sampling plan based on 2012 U.S. Census statistics. Yields a single composite score that indicates risk for dyslexia. Allows you to decide whether the risk of dyslexia or reading disability is high enough to warrant further assessment.